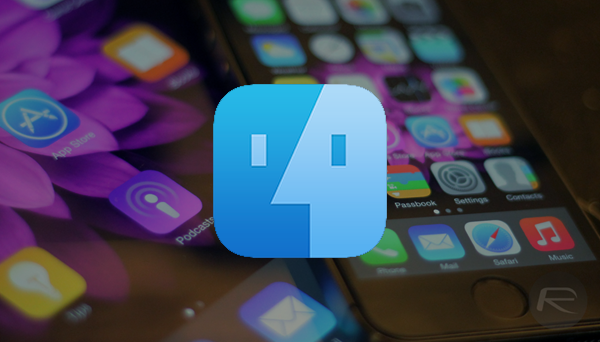 iFile For iOS 8, iPhone 6, iPhone 6 Plus Released! The popular jailbreak file browser tweak iFile has today received a fairly major update, bringing the app up to version 2.1.0-1 and adding some much needed features. The tweak’s developer took to Twitter to announce that the updated version of iFile would be available to download from Cydia "later tonight," with that time having finally passed. 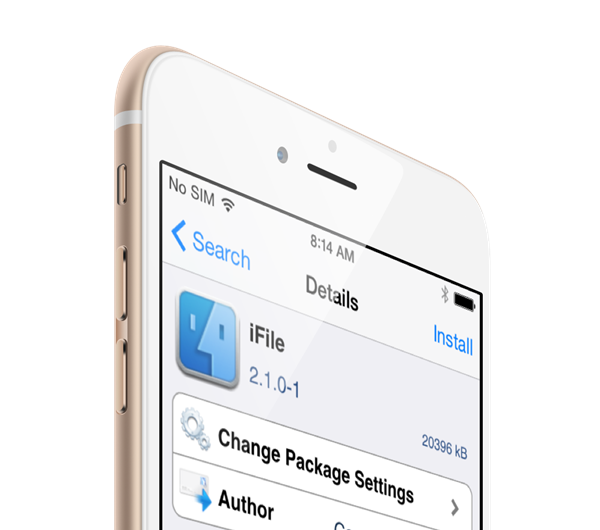 iFile 2.1.0-1 is available to download from Cydia right now. The changelog for the new version of iFile is a mish-mash of new features and bug fixes, all of which are well worth having and some were downright desperately needed. The addition that will catch most people’s eyes is the new support for iOS 8, iPhone 6 and iPhone 6 Plus, with new icons added to support the latter too. Fix-wise, iFile will now list all available external viewers rather than inexplicably refusing to, at times, offer everything that’s installed on your iOS device. A fix is also now in place that should see Bluetooth transfers work properly on devices running iOS 7 or newer. Added iPhone 6 and iPhone 6 Plus support. Added icons for iPhone 6 Plus. During search in file list the search magnifying glass icon gets replaced with an activity indicator. Fixed problem in not listing some external viewers, e.g. Whatsapp, Dropbox, iMovie etc. Fixed issue that Bluetooth transfers via GameKit were not working on iOS 7+ anymore. Fixed issue that stored URL from a 2nd tab will be stored back to 1st tab. Fixed that status bar was black on black in Audio Player. Fixed bug in Box SDK that lead to crash on launch on iOS 8. Updated "Pull down to refresh" arrow with iOS 7 styled one on iOS 7 and later. Fixed that integer numbers containing a decimal indicator (, or .) got interpreted as floats in Property List Editor number fields. We’re pleased to see iFile receive so many bug fixes in one update as well as gain support for Apple’s new software and hardware. It’s that support that will get the most attention, but if you’ve been suffering from one of the bugs that the iFile developer has killed, then you’re no doubt pleased as punch tonight. loads logo then just exits for me. working fine in my end here…. Seems to be working fine, UNTIL… I try to add any photo from Ssh via Cyberduck to the Camera Roll, just exits… Anyone experiencing this bug at all? if anybody find any solution, please post it here. It loads the logo and then just crash(exits). How do I open a document on another app? When I hold down the document it just says “Select | Select All” ant there is no “Open In” option! How do I do that? Did you find the resolution? I’m currentyl experiencing this same issue.